First look at the upcoming video game adaptation. Hollywood has a notoriously awful track record of translating video games to the big screen. 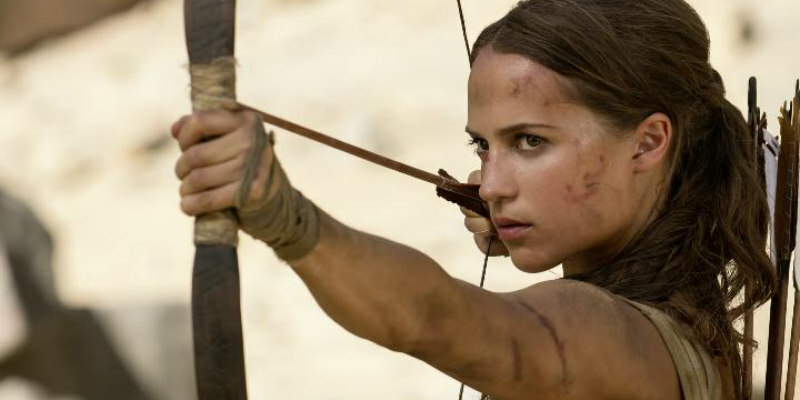 Can Cold Prey director Roar Uthaug's latest reboot of Tomb Raider, with Alicia Vikander donning Lara Croft's famous shorts, buck the trend? Take a look at the first trailer and a newly released behind the scenes featurette and decide for yourself. Also starring Walton Goggins, Daniel Wu and Kristen Scott Thomas, Tomb Raider is in UK/ROI cinemas March 16th 2018. Going explicitly against his final wishes, she leaves everything she knows behind in search of her Dad’s last-known destination: a fabled tomb on a mythical island that might be somewhere off the coast of Japan. But her mission will not be an easy one; just reaching the island will be extremely treacherous. Suddenly, the stakes couldn’t be higher for Lara, who - against the odds and armed with only her sharp mind, blind faith and inherently stubborn spirit - must learn to push herself beyond her limits as she journeys into the unknown. If she survives this perilous adventure, it could be the making of her, earning her the name tomb raider.